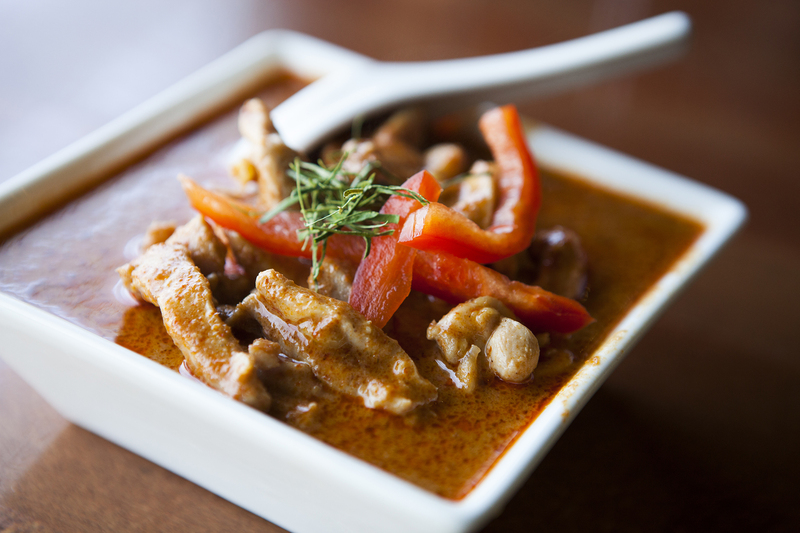 We have it pretty good when it comes to Thai food. 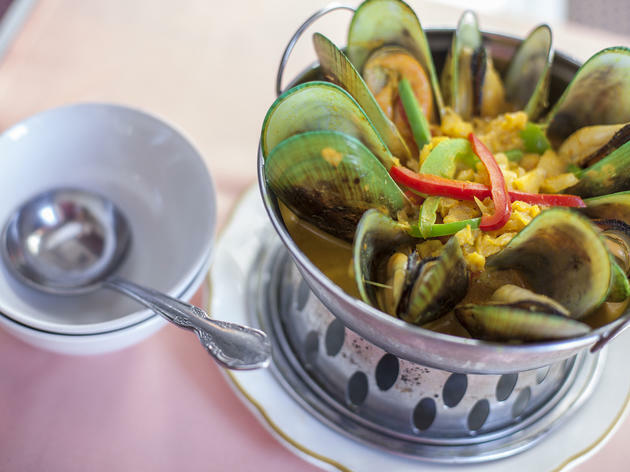 With Hollywood’s Thai Town as an essential dining destination for spice-hunters and chowhounders alike, LA has no shortage of eateries serving some of the best seafood, curries and sinus-clearing stir-fries around. Not to mention, it's excellent stoner food. 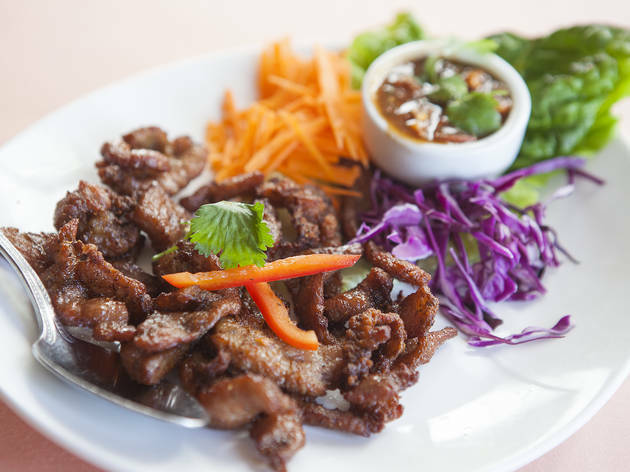 When it comes to navigating the seemingly endless Thai options, bypass the usual greasy pad thai joints and check out LA's best Thai restaurants throughout the city. 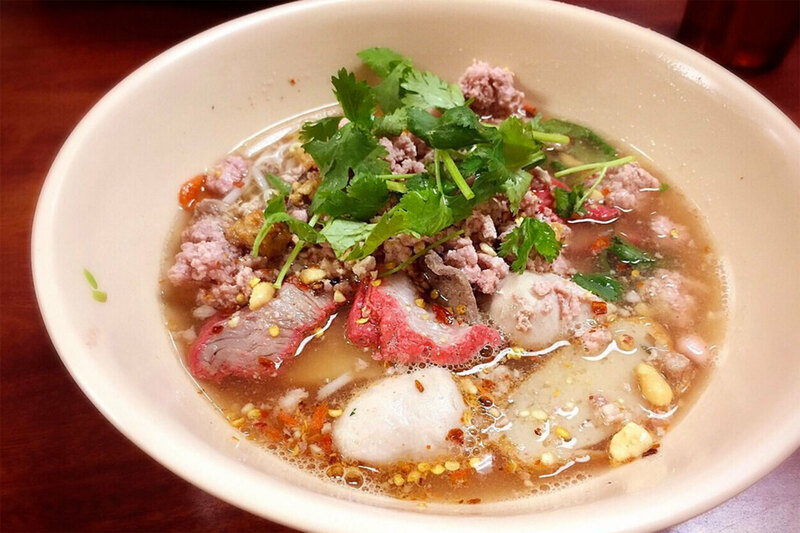 What would a top LA Thai list be without the beloved Jitlada? 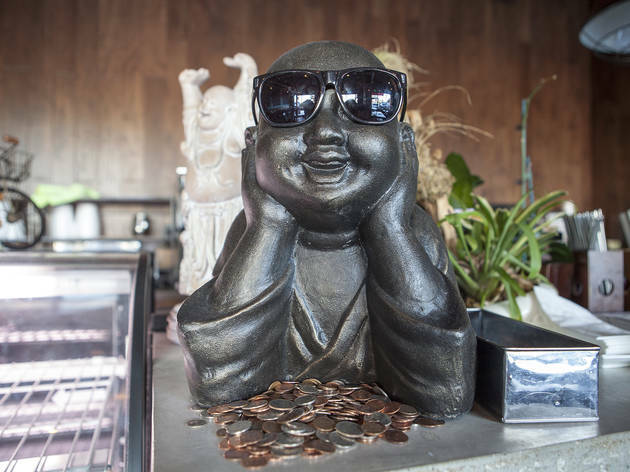 With endless celebrity photos and numerous "Best of" lists on the walls, chef Jazz Singsanong’s Thai town restaurant is one of the city’s cult favorites. 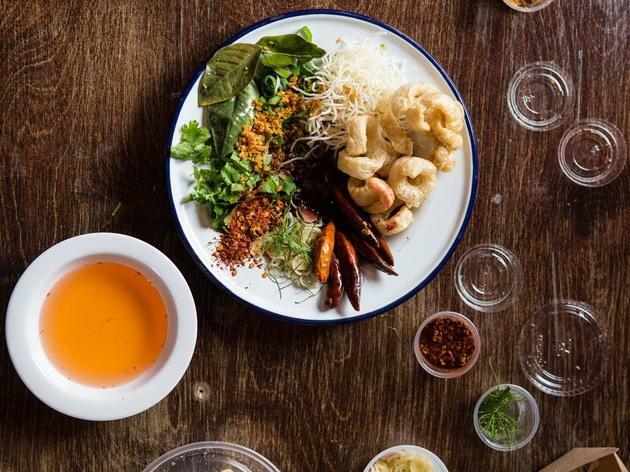 Crispy Morning Glory Salad ($14.95) is an obligatory dish—a flavorful mix of crunchy, deep-fried Chinese watercress, plump shrimp, red onions, cilantro, red cabbage and bell peppers marinated in the spicy house dressing. 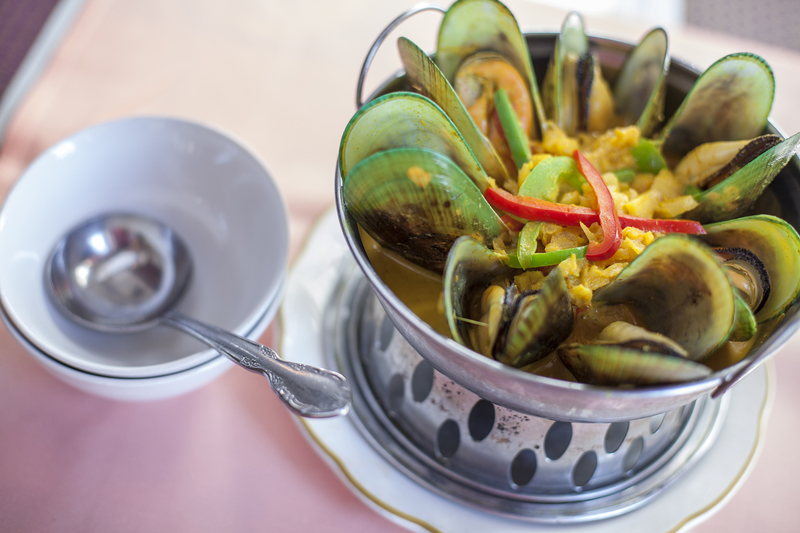 If perusing the lengthy menu leaves you feeling dazed and confused, the green mussel curry ($16.95)—succulent New Zealand mussels piled high and bathed in an aromatic Southern curry flavored with lemongrass, sweet pineapples and chiles—is a good place to start on the extensive list of fiery Northern and Southern Thai specialties. 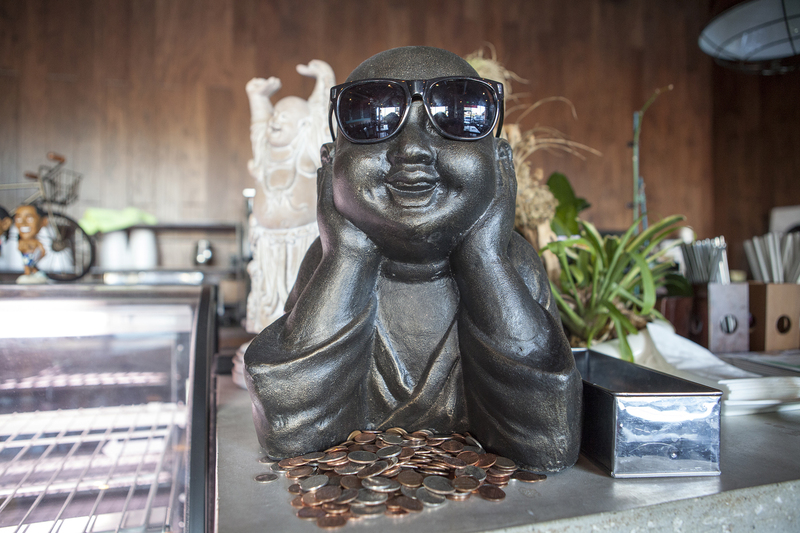 Silver Lake's Wat Dong Moon Lek has a menu that's anything but ordinary Thai. The upscale, modern spot focuses on noodles—try the namesake beef noodle soup (small, $4.25, big, $7.99) Bangkok’s version of pho, and kow soi ($9.99), Northern-style curry with chewy egg noodles topped with crispy noodles and a bright mix of pickled mustard green and red onion. For the latest in Thai culinary trends—did someone say Japanese fusion?—try the tom yum udon ($9.99) a spicy, lemongrass lime chile broth with fat soup noodles that bring an entirely new flavor to your otherwise standard bowl. For something extra special, ask for the off-menu, top-secret order of Laarb tod ($7.99), composed of crispy deep fried balls of Northeastern-style minced meat and herbs. 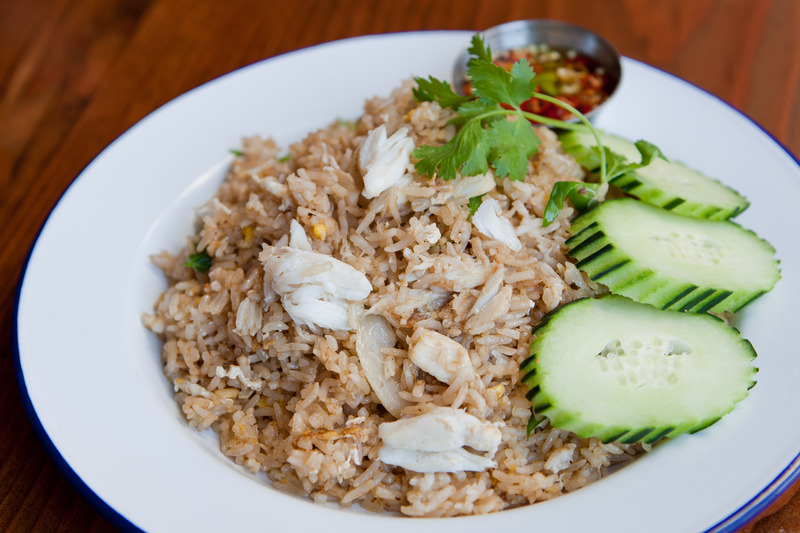 The no-frills, home-style cooking of this Thai Town joint attracts traditionalists citywide. 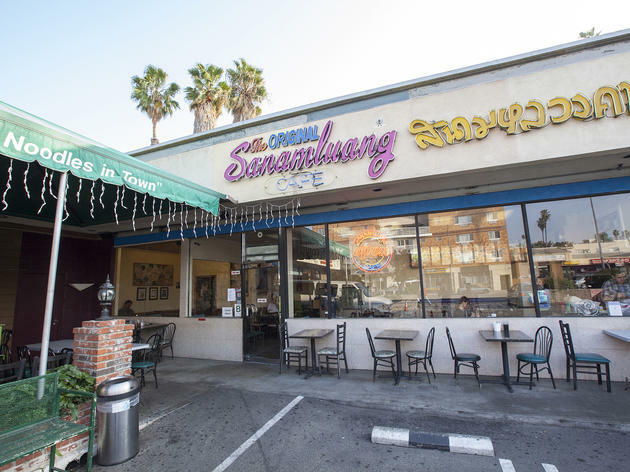 You won't find fusion or overly sweet noodles at Sanam Luang Cafe—only some of the best Asian comfort foods (and slightly intimidating waitresses). 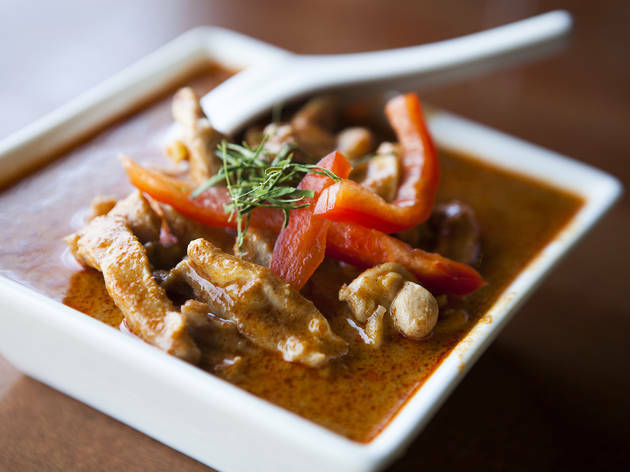 Start with the classic tom kha kai ($9.95), a spicy coconut soup with plump chicken, mushrooms, lemongrass, lime juice and fresh chile for a refreshing starter. Then, take a menu detour with the khao pad krapaow gai ($8.50), a satisfying and fiery chicken-basil-rice stir fry topped with an optional egg, and khana moo grob ($8.50)—crispy and juicy chunks of pork paired with broth-wilted Chinese broccoli is a must. Be prepared: Wear relaxed clothing and prepare to dig in. 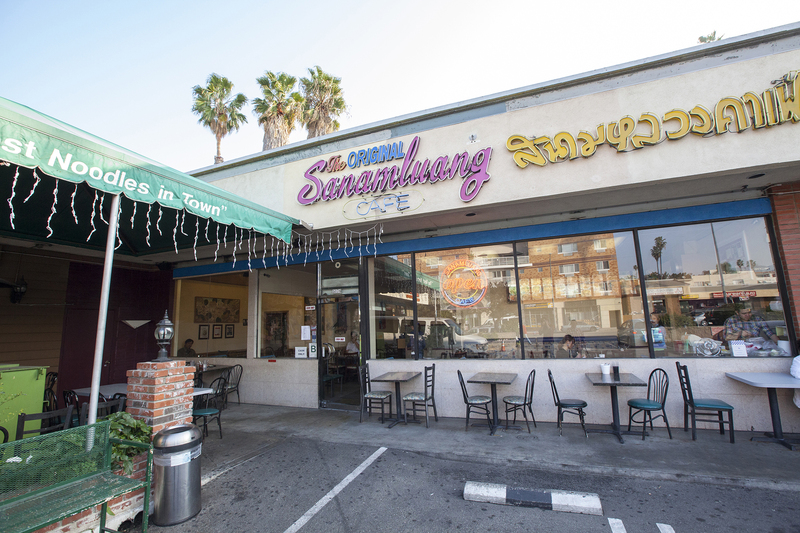 Angelenos rhapsodize about Thai Town’s Ruen Pair with a fervor that borders on obsession. At this round-the-clock, cash-only favorite, the enticing Southeast Asian menu is full of beer-friendly, shareable plates like fish cake pad ka prow ($6.95), spongy, light rounds sautéed in basil leaves and vibrant chilies, that justify a visit on their own. Stir-fry of Chinese olive and ground pork ($6.25) is served with crispy bits of flavorful pork, bright Chinese olives and fresh garlic paired alongside a bowl of steaming rice. Pair with an order of sautéed morning glory—ask for it with crispy pork belly—for the ultimate late-night Thai combo. What separates West Hollywood’s relative newcomer from old-school standbys—its sister annex, Talesai, included—is young chef and owner Kris Yenbamroong’s fresh, no-holds-barred take on his motherland cuisine. 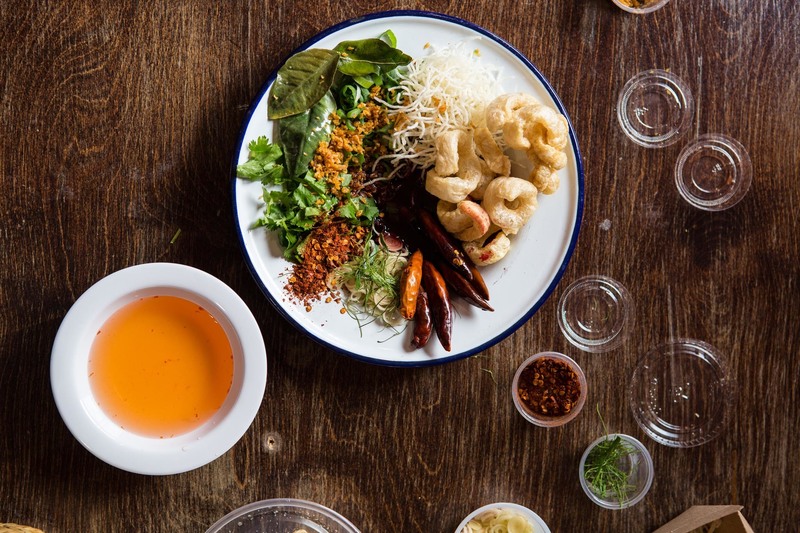 Yenbamroong’s menu highlights an intensely personal spin on Northern Thai and Bangkok street food that’s bold and original. Moo sadoong, aka Startled Pig, ($11) awakens the palate and clears the sinuses with mouthwatering grilled pork, basil, lemongrass, lime, fish sauce and a kick of garlic and birds-eye chilies. 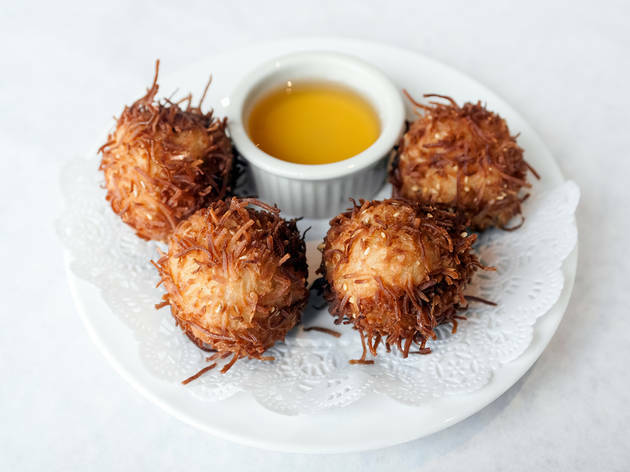 Pair it with mango and coconut rice ($8) for a not-too-sweet offset to the sweat-inducing mouthful. 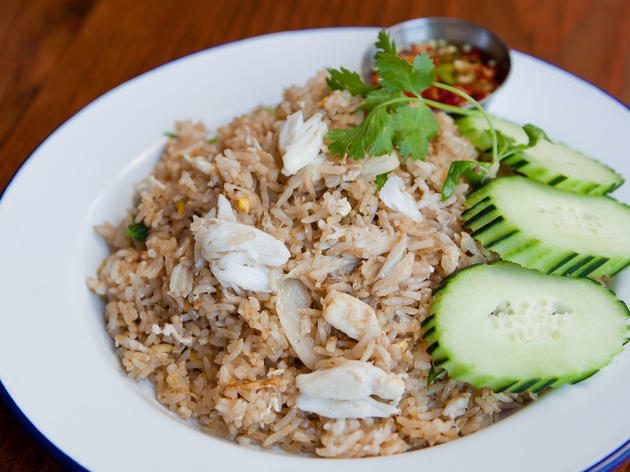 The kao pad pu, or crab fried rice, ($15) is just as complex in flavor, boasting huge chunks of sweet, meaty crab—a definite must-have. 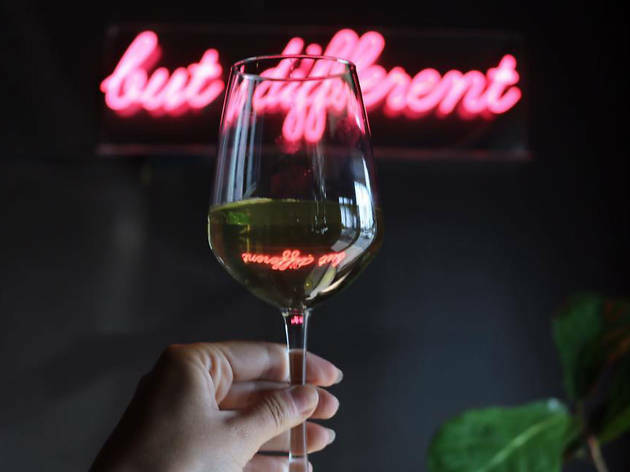 Situated near the corner of Sunset Boulevard and Silver Lake Boulevard, Same Same is a wine bar and Thai restaurant with a smattering of tables, a neon sign that reads "but different," and two bars accented by rows of wine bottles. 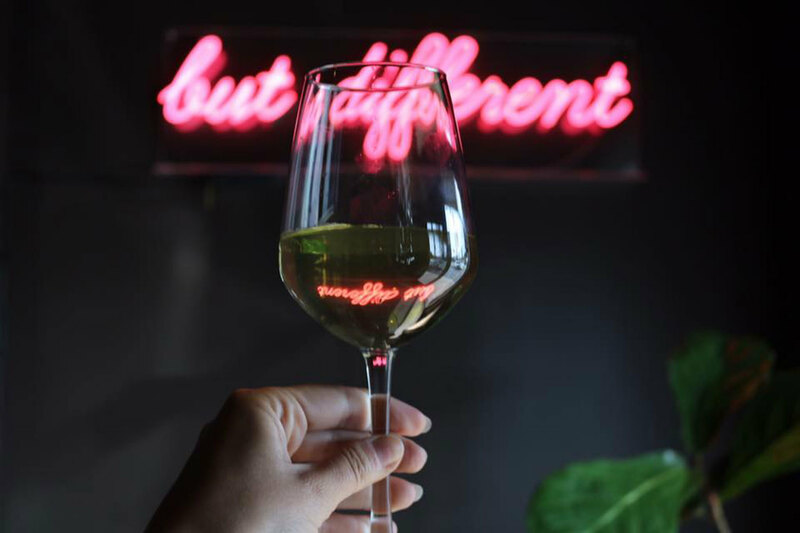 An expertly curated wine list puts an emphasis on small production wineries, and the staff is more than happy to guide you in pairings: a sweet riesling to offset a fiery minced chicken larb, for example, or a more dry riesling spatlese to compliment a sweeter mussel pancake. But just because Same Same highlights the bar aspect of this space doesn't mean that the food is subpar—the menu is filled with traditional options that are both comforting and downright delicious. Kuaytiaw Mu Daeng is a dish made with jade noodles and BBQ pork (a definite crowd-pleaser). The aforementioned mussel pancake is sweeter than you might think, but well balanced with scallions and a mild house Sriracha sauce, while the Panang is another hit—and surprisingly light despite the pool of coconut cream that surrounds chunks of beef and veggies. Be sure to stick around for dessert, a delightful sticky rice and mango medley that will have you scraping the plate clean. This Pasadena Thai eatery offers traditional takes on standards such as a green papaya salad prepared with dried shrimp called Papaya Pok Pok ($8) and green curry ($9-12), a thick, piquant sauce rounded out with coconut milk, basil, eggplant and a choice of chicken, pork, beef or mixed vegetables. The industrial-looking eatery, not to be confused with Saladang Garden, its newer sister outpost next door, attracts a mix of local families and date-nighters. Start with delectable plates to share—such as pun klib ($8), garlicky bombs of steamed chicken dumplings—while longingly eyeing your neighbor’s sizzling beef with peanut sauce ($17) as it arrives on a piping-hot skillet piled high with beef atop wilted spinach and sprinkled generously with crunchy cashews. 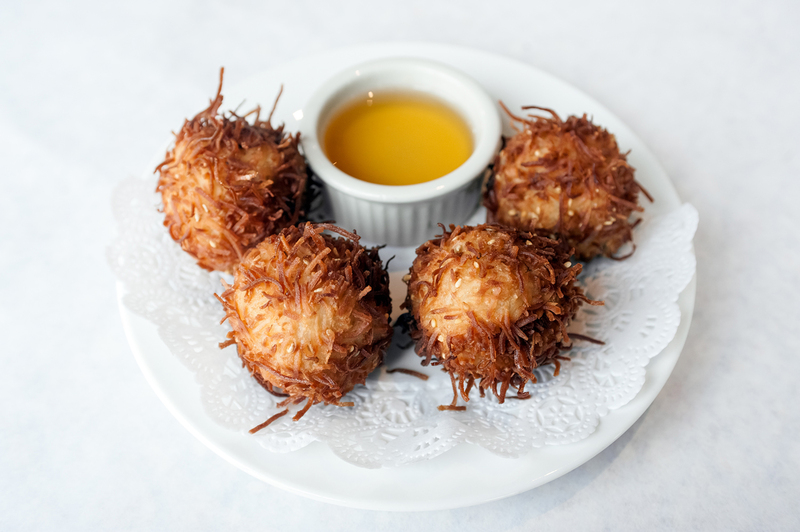 End the meal with a little dining entertainment: The fried banana ($7) wrapped in coconut is dipped in rum honey and set ablaze for a dessert spectacular. When the original Night + Market arrived in West Hollywood, diners were immediately taken by chef Kris Yenbamroong's autheniticity, bold flavors and heat that could melt your tongue. The only logical thing to do? Open a second location. At Night + Market Song in Silver Lake, a neon pink and orange color scheme evokes a Kool-Aid commercial, but the Thai banner, beads and a random-but-fitting picture of Cindy Crawford hanging on the wall channel the sois of northern Thailand. Pair sticky rice with hor ab (a catfish tamale), along with some fan favorites: the "hey-ha" party wings, the pork toro (fatty pig neck), the isaan sour sausage for those who aim to prove they can eat anything. The moo sadoong, aka "startled pig," comes out looking like it might light your mouth on fire, and it probably will. This is strip mall dining at its finest. Pa-Ord is a Hollywood staple, with two locations on Sunset Boulevard for maximum noodle-slurping pleasure. 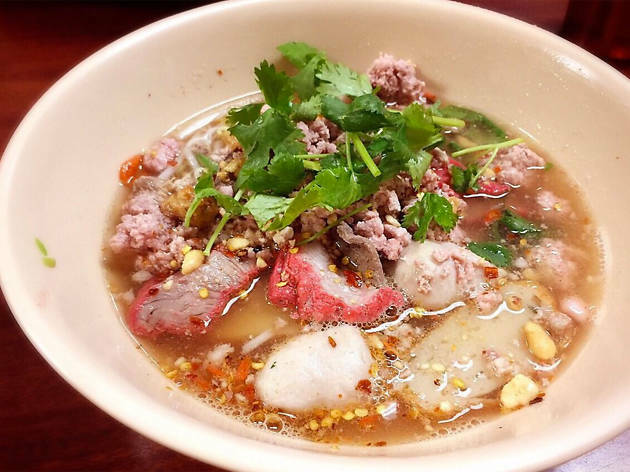 Serious Thai food lovers navigate their way through pork blood-infused bowls of boat noodles, Pa-Ord's signature dish, which centers around a dark, fragrant broth brimming with tripe, fish balls and a few leaves of bok choi. 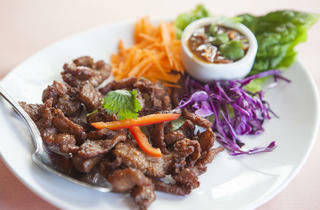 Less adventurous diners may opt for papaya salad with fermented crab, or the popular crispy pork and Chinese broccoli.